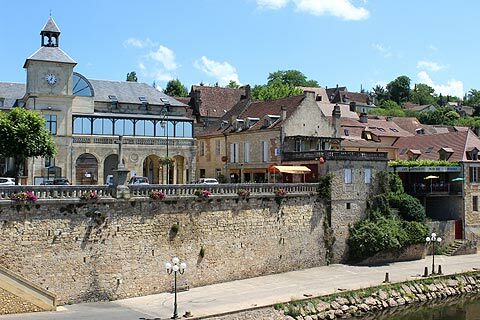 Le Bugue is a small attractive market town on the Vezere River, between Limeuil where the Dordogne meets the Vezere, and Les Eyzies de Tayac. 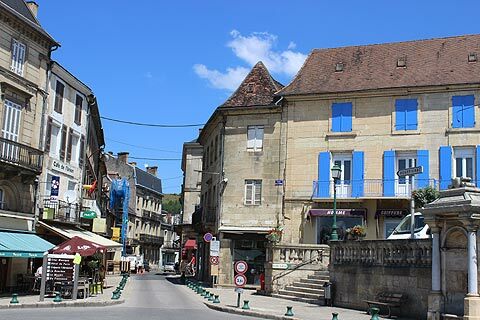 Le Bugue is a thriving market town with a lot of charm and makes a great base for exploring the many sights in this part of the Dordogne department. 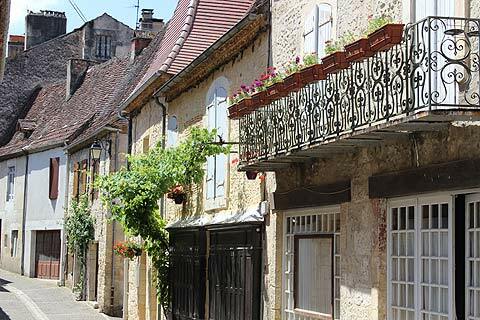 There are narrow winding streets to discover and some beautiful traditional houses to see. Be sure to wind your way behind the central streets to explore these. 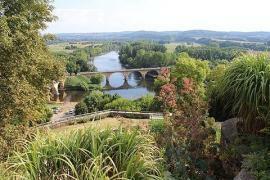 Although without particular monuments its riverside position makes it a very pretty and very popular little town. 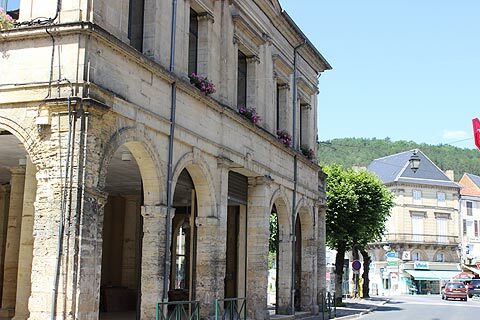 The centre of Le Bugue sits on the Vezere river and is dominated by the attractive town hall with its clock tower and arcades. 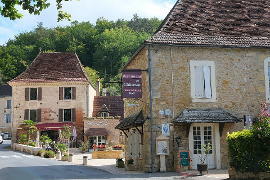 Fanning out from the centre are various roads lined with charming stone houses and some interesting shops and boutiques. 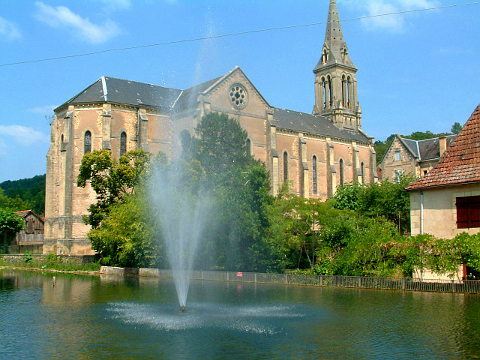 The church occupies a pretty spot on the edge of a large pond. It is also possible to step down to the riverside. 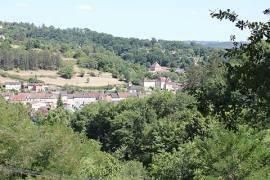 Le Bugue is also in an ideal position to explore the Vezere valley and its famous prehistoric sites. 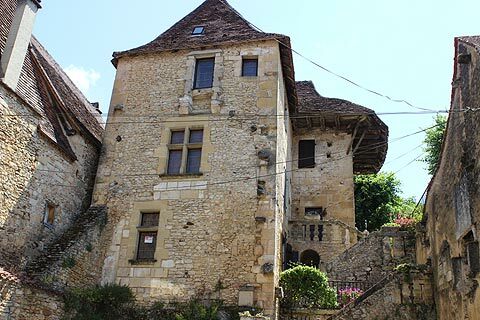 So unique is this richness in prehistoric sites that the Vezere Valley is a UNESCO World Heritage Site. 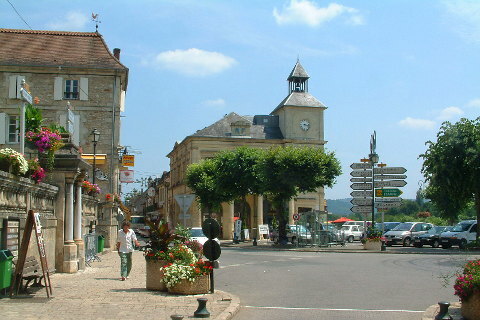 Market day is a Tuesday morning and is a particularly nice time to visit Le-Bugue. 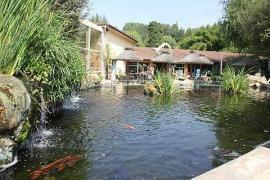 The Aquarium (Aquarium du Perigord Noir) at Le Bugue is very popular - especially if you want to escape from prehistoric man for a short while (prehistory does rather dominate the region!). 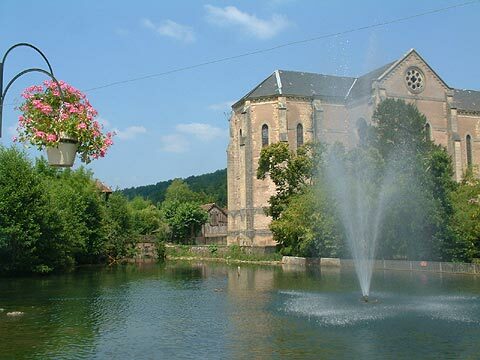 Popular also is the nearby Village de Bournat where you can watch traditional crafts being practiced. 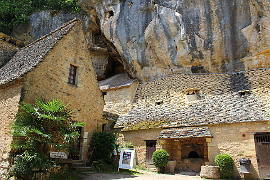 This is an eco-museum showing what life was like in Le Bugue for our great-grandfather's generation. 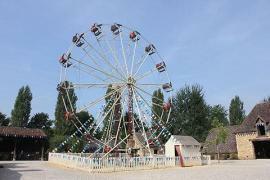 Whilst it is a museum it is lots of fun for children and is a popular excursion. 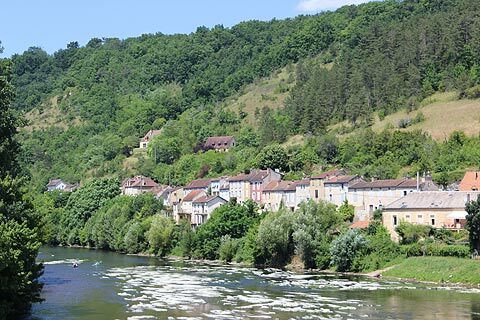 The Grotte de Bara Bahau is on the edge of Le-Bugue and contains a number of engravings made by prehistoric man. 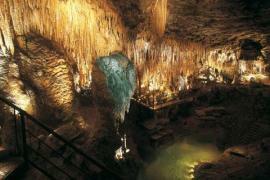 Also on the edge of town is the Gouffre de Proumeyssac with its huge cavern and wonderful collection of stalactites. 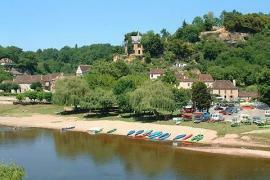 A popular activity in Le Bugue is to hire a canoe for a day or half-day. In the height of summer the river is full of brightly coloured canoes. 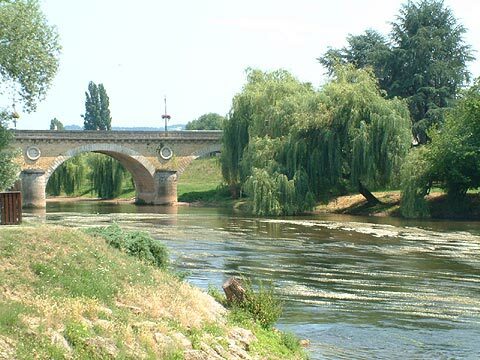 However once you have paddled away from the centre of town you will be able to seperate from the crowds and enjoy the beautiful river views. 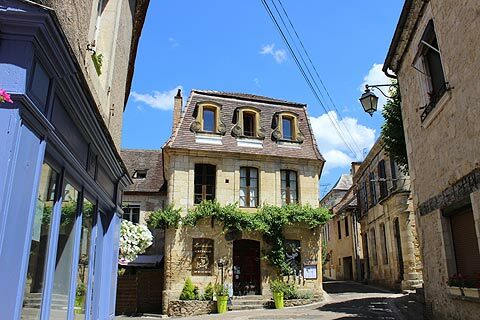 Le Bugue is superbly positioned to visit the many sights of the UNESCO listed Vezere Valley but is also not far from the wonderful villages and castles of the Dordogne valley. 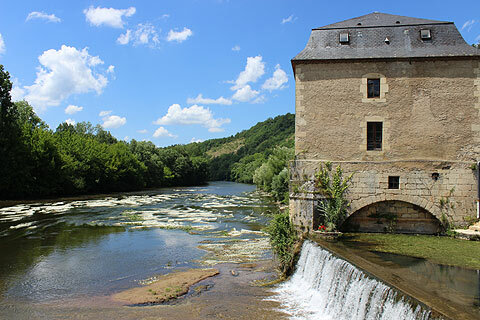 The world famous Lascaux caves are not far away at the pretty town of Montignac and the area around Les Eyzies is full of caves and other sites of prehistoric interest. 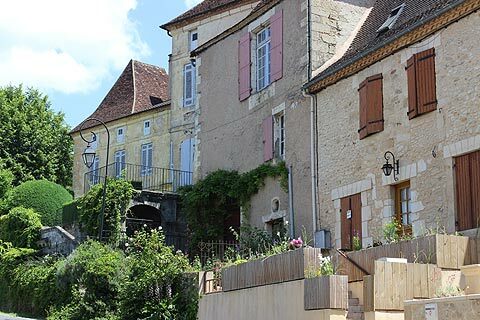 The pretty village of Campagne, with its castle and parkland is nearby as is the attractive town of St-Cyprien.